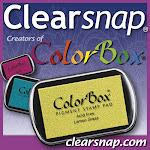 Clearsnap has generously provided us with some of their inks and other products and in this blog hop we are showcasing some of our favorite Clearsnap products. Here's my 3rd project - a tag. Great projects! Love how different they are! You're so right about that saturated color! Beautiful techniques. Thanks for the tip of spritzing on plastic. WOW Donna look at all your AWESOME projects :) So loving every one of them!!! wow each one is soooo different and wonderful! I love them all... that second one really made me laugh, but I love the papers on the first one! Wonderful projects Donna! Love the the cards and your tag is over the top :) Love the spritzing you did! These are awesome Donna! You have really worked some 'ink' magic on that fab tag! Wow, you've been really busy. Love all your creations. I bet that tag is awesome in person with all the glitter. What a variety of projects and styles...and they show off the ink and stamps just perfectly! Great cards and tag. I love the 'masculine' tag stamp used on the front of the pretty floral card. Cute Girltalk card. I really like all the fun techniques you used on the tag. I looks so dimensional. WOW-great projects. Love the different techniques you used. I love how you showed so many approaches to these cards/tag. The first card is so pretty--great mix of papers. The second card made me LOL--cool misting, too!. The spray on the last one is so funky and cool! Very cool! The Smooch Spritz Spray background is probably my favorite here! Wow do I love these, especially the 1st card. Those colors are really pretty!